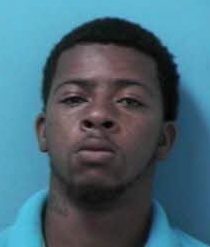 Franklin, TN – A stolen gun is off the street, and a Franklin man arrested on multiple charges after a West Main Street incident, Wednesday. Officers were summoned to Jewell’s Market, 1421 W. Main Street, at 3:55pm June 4 after a caller reported that someone fired a shot during an argument in the parking lot. Following the shooting, the suspect reportedly fled in a maroon SUV. With the help of witnesses, officers quickly located the discarded gun in a yard of the nearby Rolling Meadows subdivision. Three men found on foot were detained, questioned and released. The gun was determined to have been stolen during a 2011 home burglary. Detectives ultimately identified Cory Cortez Johnson, 21 of Franklin, as the shooter. Johnson was located and arrested by Flex Officers outside of his home yesterday. Cortez, charged with Theft, Reckless Endangerment, and Possession of a Prohibited Weapon is free on a $3,000 bond. He is due in court on 06/19/2014 at 1:00 pm.